Once in a while you come across something that changes your food life forever. 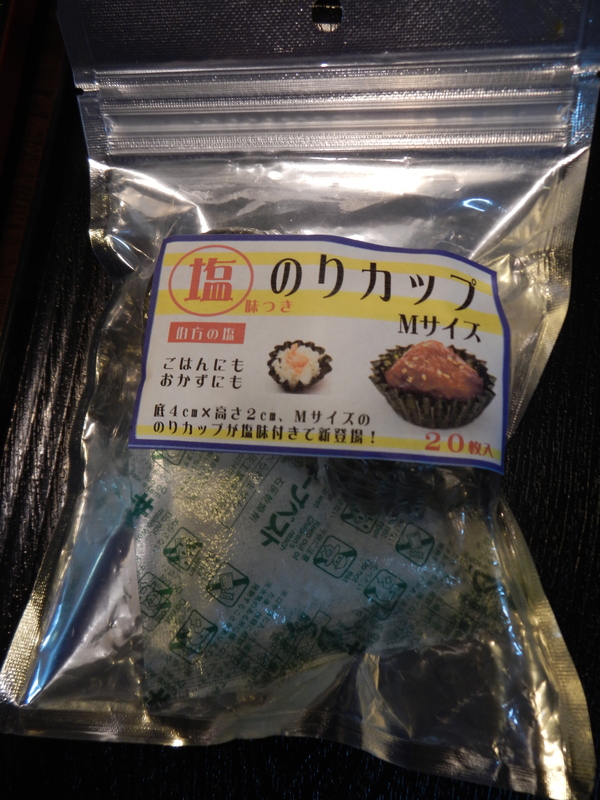 A Japanese chef girlfriend who now lives in California told me about these nori cups at Tsukiji Market. They are sold at a store that I walk by every time we do a Food Sake Tokyo tour, which is about 3-4 times a week. 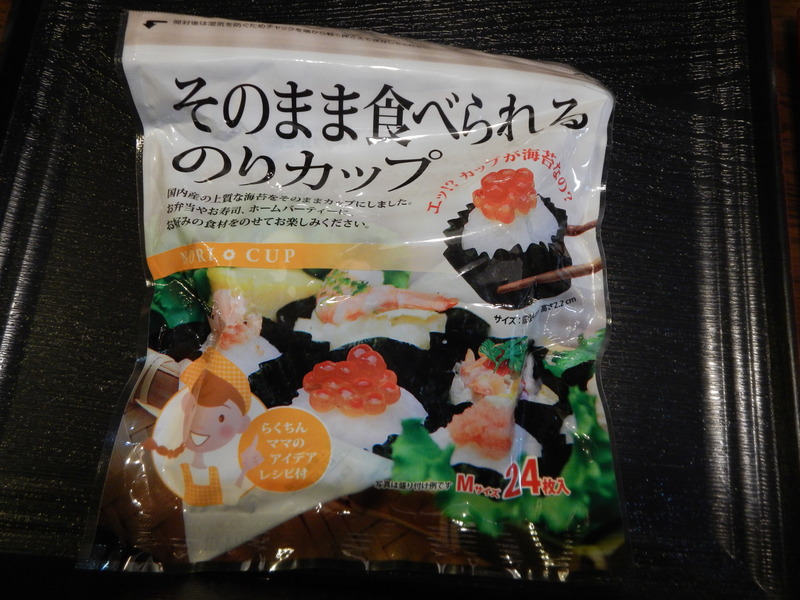 It is a store that we often stop by as they also sell the sushi erasers that are popular gifts. I was kicking myself for not noticing these before. 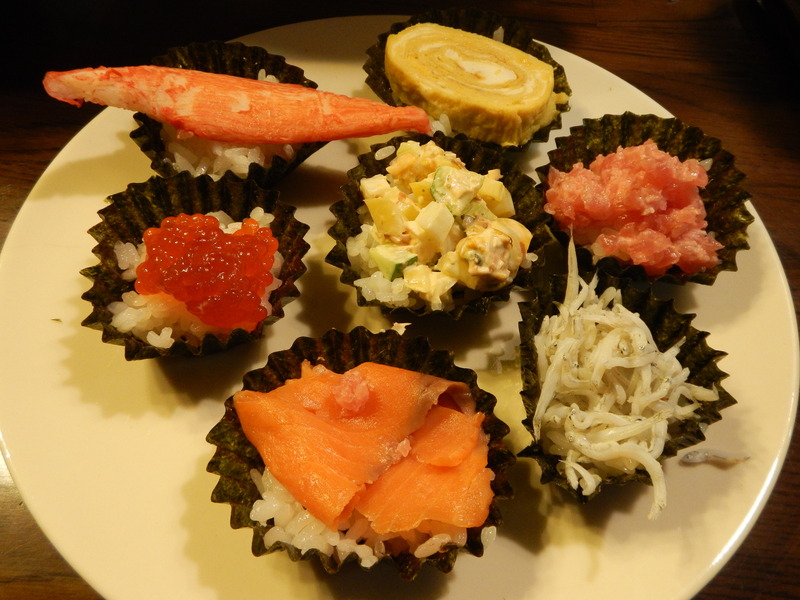 These are perfect for bite-size sushi. Perfect for parties or for a fun night at home. The version above are unseasoned, while these are flavored with salt. I prefer the salty ones. 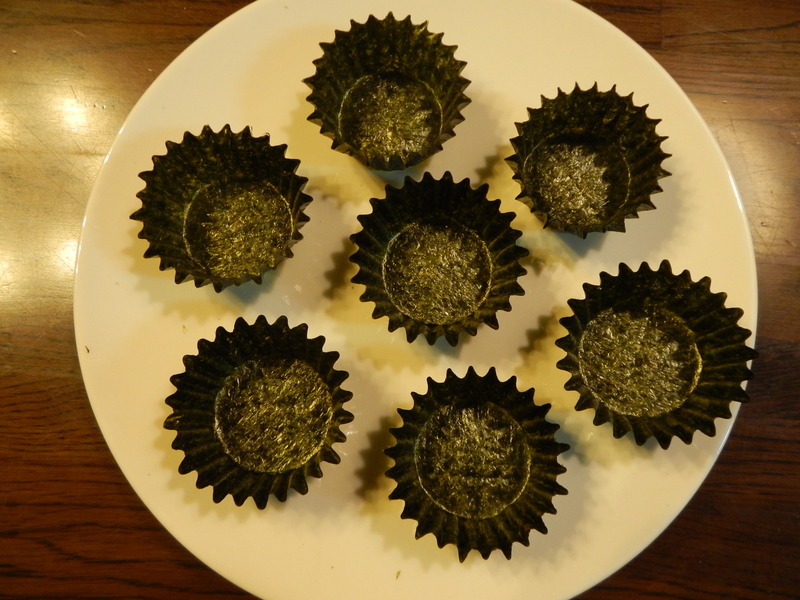 Nori cups are circles of nori shaped into small cups like cupcake papers. Just add rice, or better yet, vinegared sushi rice, and top with sushi toppings. The first time we tried these we were celebrating a special occasion at home and Shinji pulled out all of the stops. 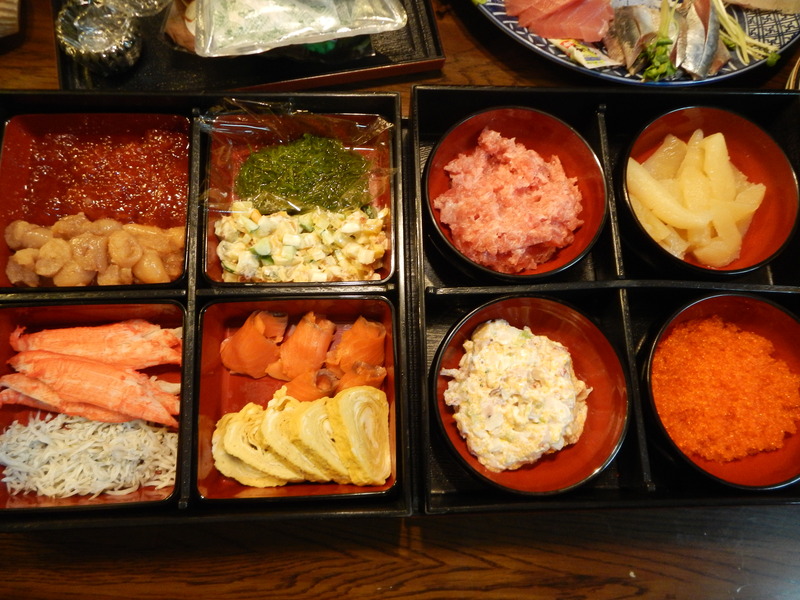 Topping options this night included: clockwise from top left: sujiko (soy sauce marinated salmon roe in the sac), mentaiko (salted and spicy cod roe), kombu, seafood salad, maguro (tuna), kazunoko (herring roe), tobiko (flying fish roe), tuna salad, salmon, tamagoyaki (omelet), crab, and shirasu (baby anchovies boiled in salt water). Everyone makes their own as they like. 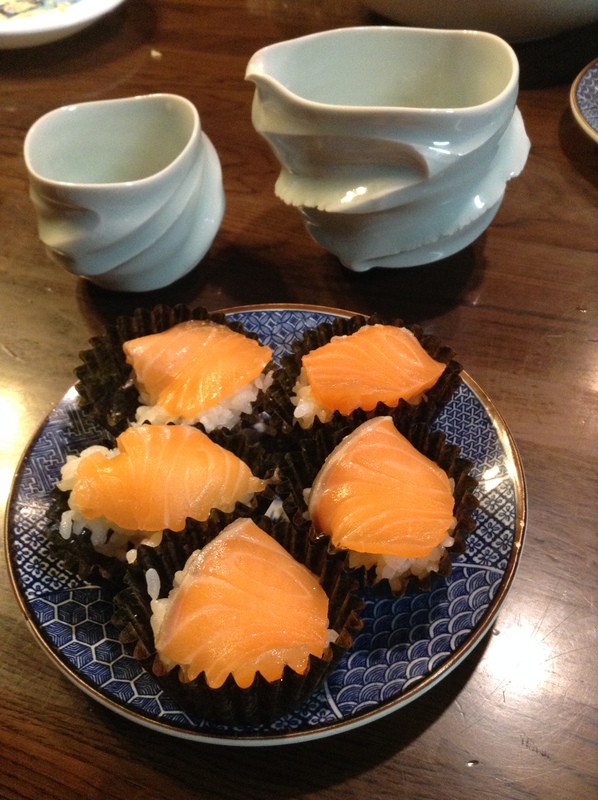 On this night we simply did salmon sashimi to celebrate the new saké cups we purchased. 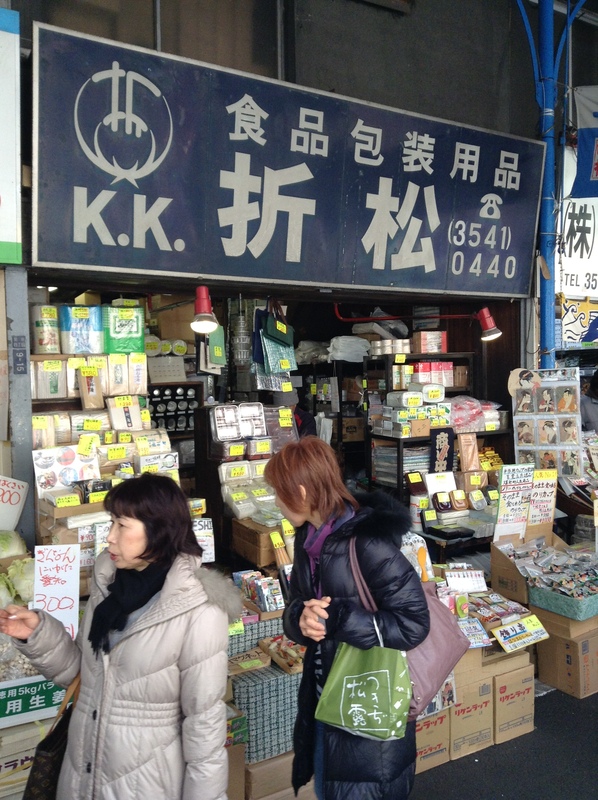 There are a few shops selling the nori cups at Tsukiji Market. The easiest one to find is Orimatsu in the outer market. While here, be sure to also take a look at the erasers in designs like sushi, bento, and wagashi (Japanese confectionaries). 3:30 a.m. – 1:30 p.m. Followers of the Food Sake Tokyo blog have written to me to say that the nori cups can also be found at Tokyu Hands in the bento section as well as at Kappabashi.